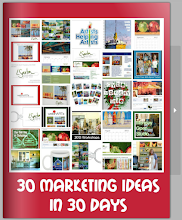 I am quite thrilled that it's only been a day since I posted the website for the September 30 in 30 Challenge and over 200 artists have already signed up. We already have ten countries represented and the challenge doesn't start for over a month. I hope the longer lead time gives everyone a chance to get prepared. Buy your canvases and get your painting area ready. But one of the most important things you need to do is pick a theme for your challenge. I have had a lot of conversations in the last few days with my artist friends about picking a theme. Some have asked, why even pick one? First, it makes it easier to decide what you should paint. Selecting a theme provides you the chance to create some interest in your future posts. It also makes it more fun for both you and your collectors. So how do you go about picking a theme? My theme for this challenge is "Thirty Things You Don't Know About Me". 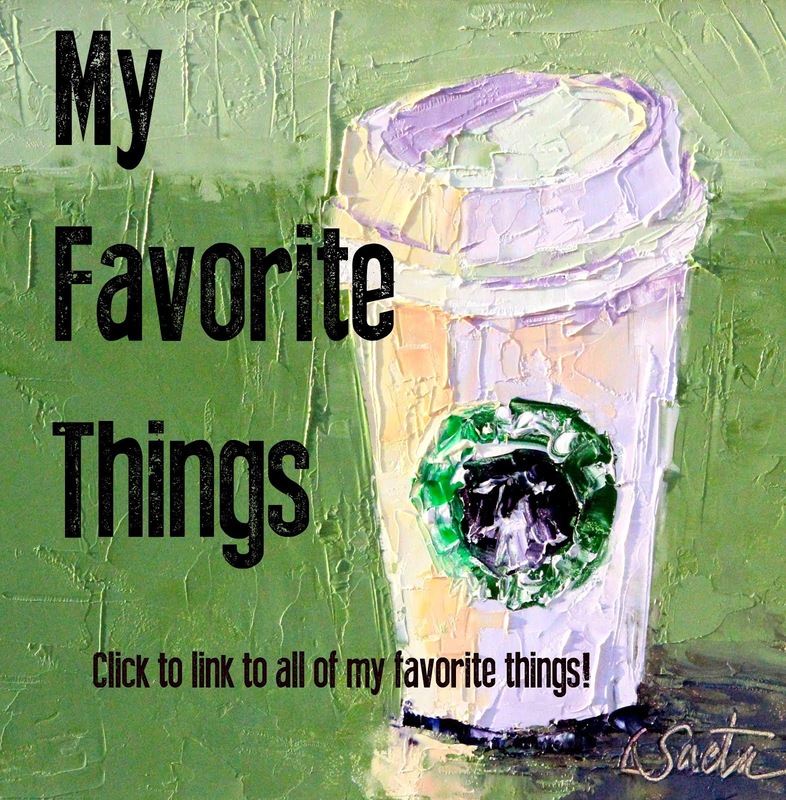 I picked it because I thought it would be interesting as my daily paintings and blog posts would reveal something about me most people don't know. It was also a broad enough theme that would allow me to paint some of the paintings I have been wanting to paint for my private collection and our Ventura house. I also had some ideas that fit the theme that would also appeal to my collector base. I am sure a few of the 30 in 30 paintings will end up in the recycle bin. That's fine as I hope to try some new things during the challenge. But, to be perfectly honest, I will be creating paintings that I hope to sell.. And I think you should too! 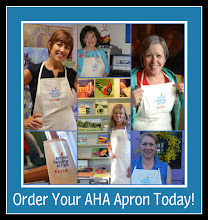 My AHA July co-host Margaret Sheldon has picked a theme around things she feels guilty about. I love it! My friend Dottie Leatherwood picked a theme last time where she painted scenes as if she was travelling all around. The funny thing is many friends on Facebook thought she was really traveling! Give yourself some time to pick a theme. It should be for you and about you. Just make sure it's fun! Check out remodel blog for our beach house in Ventura, Ca. I am teaching workshops at the beach. Come stay and paint with me! I have workshops scheduled in the next twelve months in South Pasadena, Ventura Beach, Newport Beach, Charlotte NC, Richmond Va and Atlanta Ga. Click here for more information! 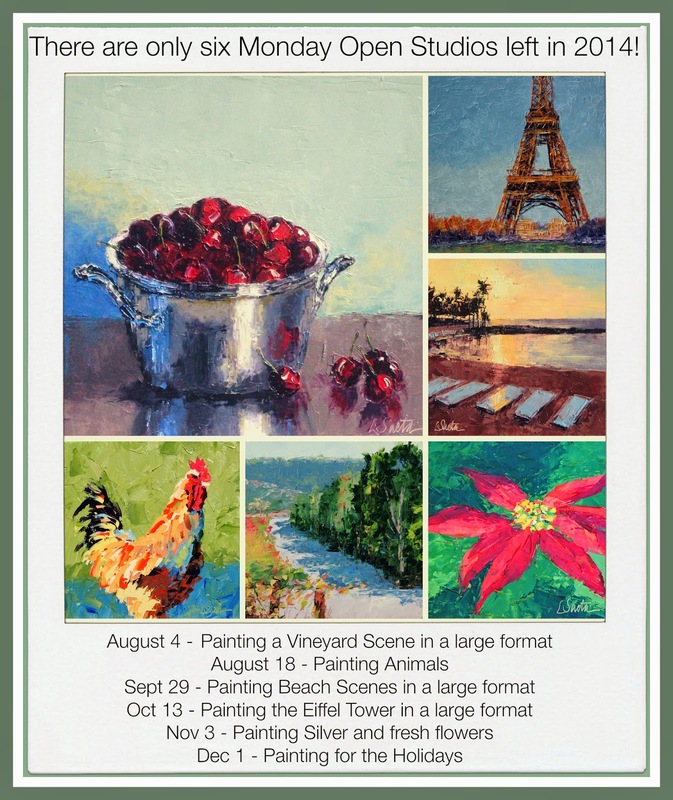 I just launched the website for this September's Thirty Paintings in Thirty Days Challenge. I know what you are thinking, "She is doing it again?"! I am. And if there was ever any doubt in my mind all I need to do is look at the 90 paintings created from the past three challenges. It's scary to think I probably would have painted twenty paintings instead of ninety if I hadn't done the Challenge. That's crazy! I do believe the challenge isn't about the end product, aka the paintings. Instead it is about getting in your studio, developing habits of painting every day, pushing yourself to try new things and developing a painting theme for the month that you are excited about. As a bonus, you will have 30 great paintings at the end of the month. It's also fun knowing there are hundreds of other artists taking the same challenge all over the world. Speaking of which, my intern and I created a really cool map that shows where all of the artists are located that are participating in the challenge. If you go to the website and sign up then you will also be included on the map! As you can see, we already have 50 artists signed up in the first few hours. I hope you will consider joining the Challenge. It just might change you life. It did for me! 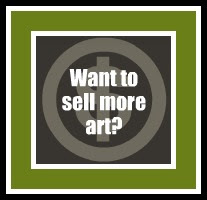 We all need to be more creative when it comes to selling our art. 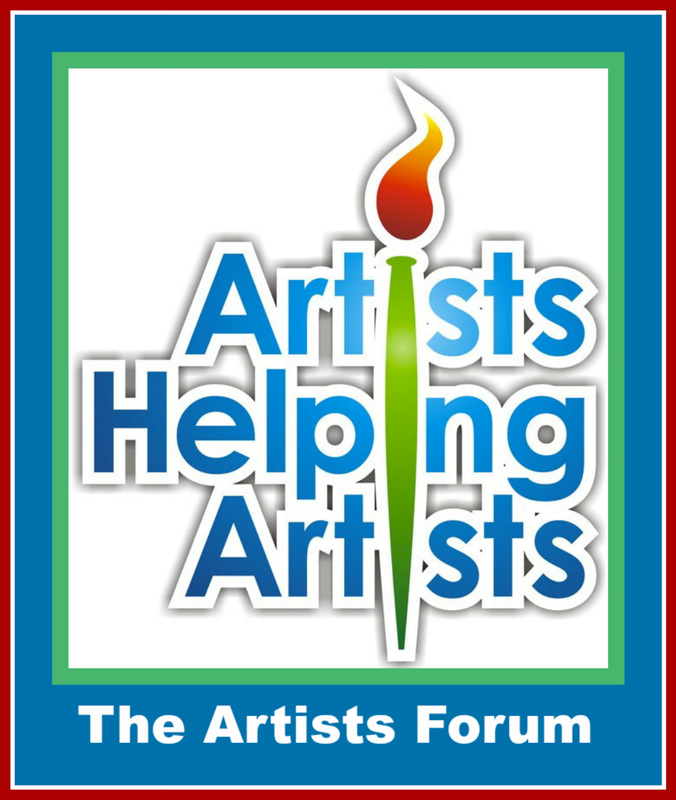 This week's Artists Helping Artists show was titled "How to Use Pinterest and Facebook to Drive More Traffic to your Art Website". Most of you probably aren't aware that it takes three to four hours every week to research the show topic and create the show notes. Every once in a while a topic comes around that really gets me inspired. This week's show was one of them. The challenge we all have with social media is that it's always changing. It's nearly impossible to keep up with what's new and it's frustrating to even try! That's why I love the AHA show. I often pick topics based on what I want to learn more about. The reason we do a lot of AHA shows on Facebook is two fold. First, it's the best marketing tool I use. Second, it's the only way I can attempt to keep up on what's new. We started this week's show with a lot of great Facebook ideas. But the Pinterest tips were what really got me excited. 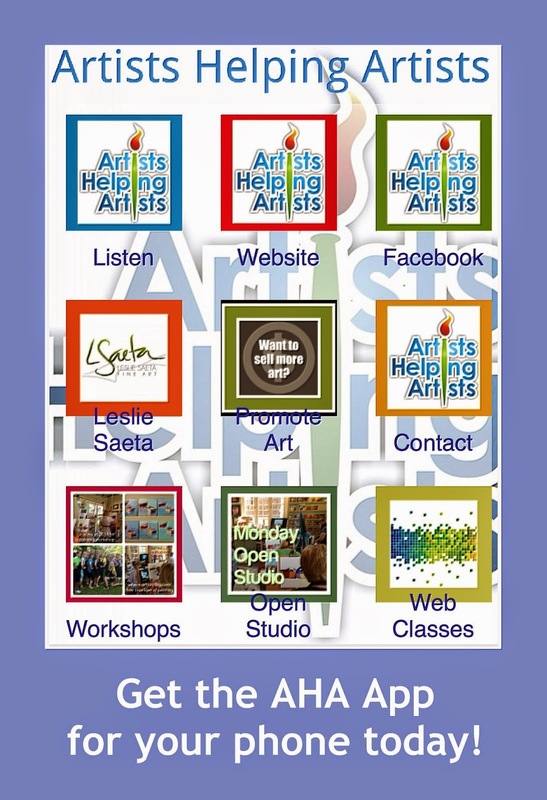 For example, if you want to see what’s being pinned from your art website just use this URL, http://www.pinterest.com/source/saetastudio.com/ (but put your website in the last part instead of saetastudio.com). You will see every photo that has been pinned from your website. It also shows who pinned it which is a great way to learn who likes your art (hint ... potential collector or workshop student). 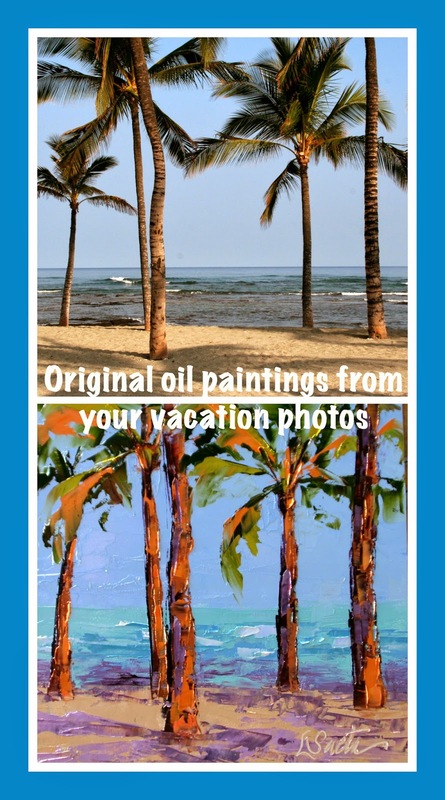 You can use any of the free online photo editors to create this collage such as Picmonkey or Ipiccy. They are fun and easy. Just make sure you always include a link to your website where a potential client can get more information. 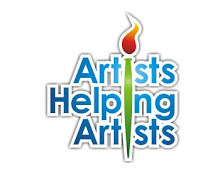 I highly suggest you listen to the "Artists Helping Artists" show. It's free and there are four and a half years of shows archived on the site. Check out the remodel blog for our beach house in Ventura, Ca. I am teaching workshops at the beach. Come stay and paint with me! I have workshops scheduled in the next twelve months in South Pasadena, Ventura Beach, Newport Beach, Charlotte NC, Richmond Va and Atlanta Ga. Click here for more information! I had a conversation last week with an artist friend who was having a hard time finding time to paint. I empathized with her struggle as a few years ago I found my self in the same dilemma. It was December of 2012 and I hadn't painted in about three weeks. Prior to that, I hadn't painted in two weeks. At the time I was struggling with my schedule. I was making the transition to working full time as an artist and yet I couldn't seem to find the time to paint. It wasn't until I sat down and looked at my schedule that I recognized that the problem was. Painting wasn't a priority. Of course htat makes no sense if I was an artist! I was stunned at how many appointments and meetings I had on my calendar that had nothing to do with painting. Somehow I had managed to fill my daily schedule with personal and volunteer obligations. I also was spending a lot of time doing marketing, which is important. But my "career" as a painter hadn't quite become a priority if I wasn't in my studio painting. That's when I came up with the idea of "Thirty paintings in 30 days". I figured if I painted every day for 30 days then painting would become a priority and a habit. It worked. Plus, I was lucky enough to find about 200 artists to take the Challenge with me. I also became more organized in my studio and re-organized all of the photos I use as "inspirations" for paintings. It's important to be organized when it comes to painting so you don't have any delays or excuses not to paint! Now when I walk in my studio I can begin a painting within a few minutes. I also added two large video screens to my studio which are great for projecting reference photos. If you are having problem making time to paint, don't hesitate to schedule painting time on your calendar. Make it a priority and stick to your painting schedule. Painting is addicting, the more you paint the better you get and the more rewarding it is! I appreciate how lucky I am to be an artist. We are truly blessed! Check out my remodel blog for our beach house in Ventura, Ca. I am teaching workshops at the beach. Come stay and paint with me! I have workshops scheduled in the next twelve months in South Pasadena, Ventura Beach, Newport Beach, Richmond Va, Charlotte NC, and Atlanta, Ga. Click here for more information!